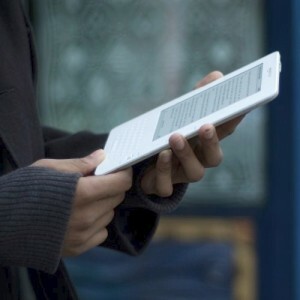 click Engadget has some possible leaked photos of the Amazon Kindle 2 e-book reader. I may pick one up when they are out. Imagine having all your heavy textbooks you carried around in school condensed into a light electronic device. Not to mention magazines and newspapers reading during your commute. I do love holding books and flipping pages, but paper books might be going the way of the typewriter.